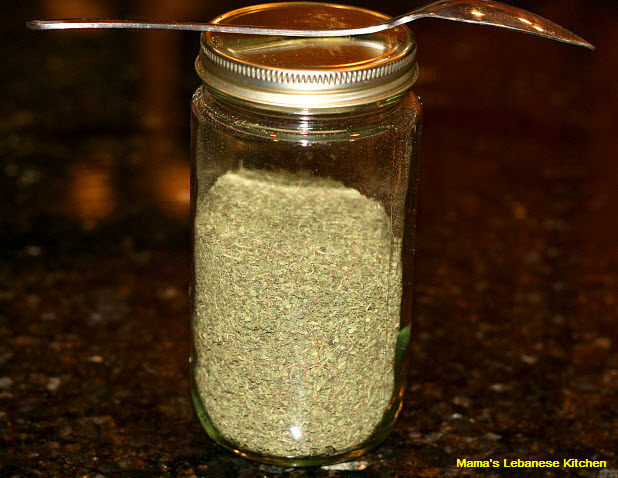 Learn the simple process of making ground dried mint spice at home. 5. If the mint leaves are still not fully dried after a few days passed, you can bake them at very low heat in the oven, at 170F for about 20 or so minutes until they’re fully dried and they break apart if you rub them with your fingers. You may also like to leave the dried mint leaves as is, without grinding, and preserve them in an air-tight jar to use with teas. You may also bundle the green mint bunches and tie them with a rope to the ceiling on a balcony/porch in a place that doesn’t get direct sun light. In this method they tend to dry faster. Dried mint can last several months if kept in an air-tight container.